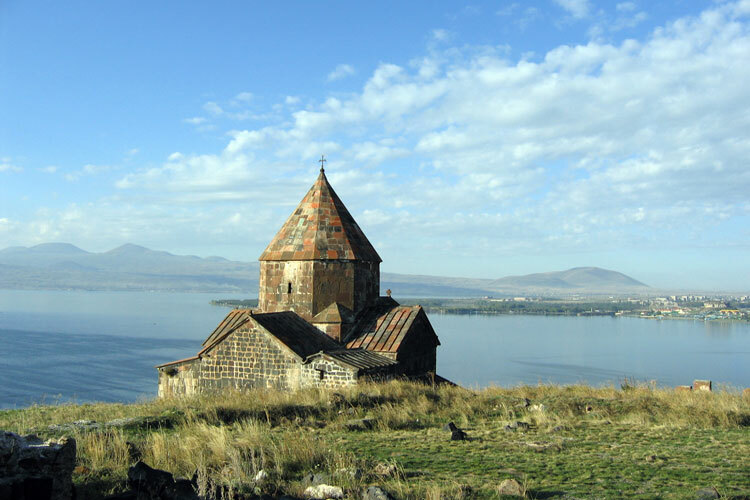 Sevan is a city in the Gegharkunik Province, lies on the northern shores of Lake Sevan. The town is 54 kilometers north-east of the capital Yerevan, the administrative centre of Gegharkunik region. It was founded in 1842 as the Russian village Elenovka and was known under this name until 1935. Nowadays the population is around 22,000, most of which are engaged to agricultural activities, fish-hunting and some touristic services, especially during the summer season. The community of Sevan has 8 public education schools with one of them operating in the village of Gagarin. As of 2008, there were 4 nursery schools in Sevan and 1 in Gagarin. During the brief summer Sevan is a popular beach resort. Many professionals and amateurs visit the city to practice their favorite types of sports on the shores, such as beach volleyball, wind-surfing and other types of water sports.